Make waves with a boat that is decked out with sharp lettering and graphics, proudly portraying your boats name or brand to anyone you come across on the high seas. 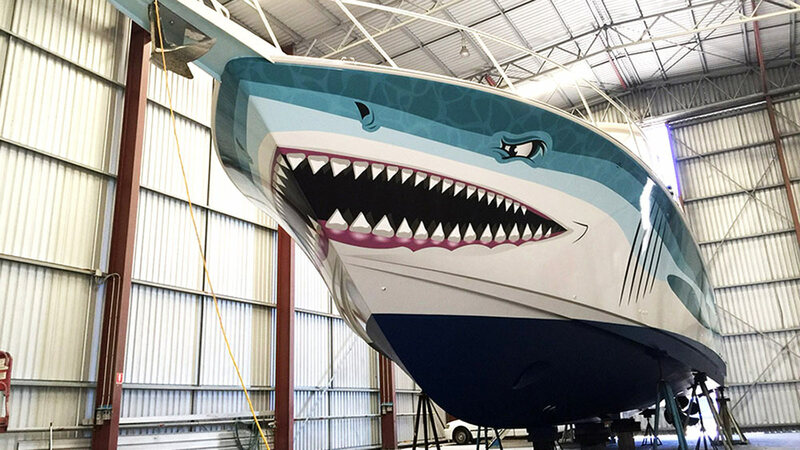 Go Graphics has dedicated staff that are able to create custom boat lettering and graphics for the marine industry. We can tackle one-off projects for personal vessels as easily as handling branding for a whole fleet – our skilled team can deliver a product that is tailored to your needs. From dinky runabouts to luxury yachts, our experience with boats and water vessels means that we have developed the expertise to design, produce and install lettering and graphics to suit this unique application. 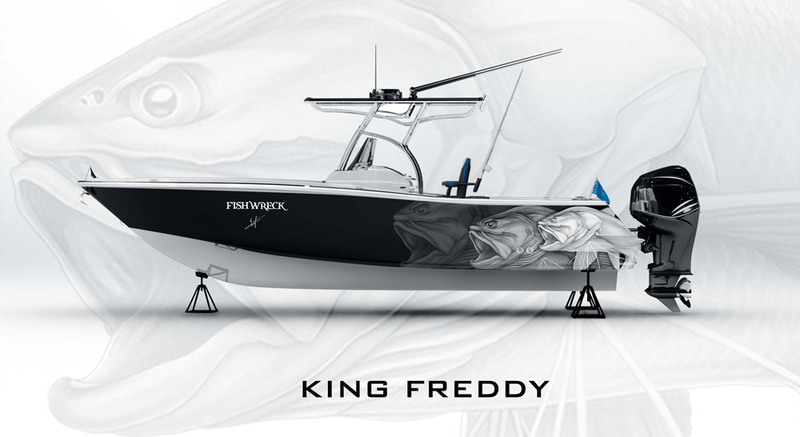 Go Graphics are proud partners of the super-talented design gurus over at Fishwreck Boat Wraps, giving us access to their extensive artwork catalogue and artists. That means we can assist you with custom design, printing and installation of one of these outstanding floating masterpieces for your pride and joy! The small handful of graphic artists who create these unique designs are based all around the world. We print the wraps on Premium Avery Cast wrap film and overlaminate with a high gloss cast clear to protect your wrap and keep it looking great for years to come. Contact us today for more details specific to your project.